Happy December friends! I am so amped for the holiday season this year, which is totally ironic since I’m so far from close friends and family. I don’t really know what it is, maybe it’s the wintry temps (which are almost non-existent in So Cal) or the still very exciting honeymoon period of being in a new city, maybe it’s the fact that this is the first year that we have the opportunity to start our own family traditions, or the anticipation of our new addition coming soon – whatever it is, there’s something really magical about the holidays this year. Over the years, Evan and I have adopted a new outlook on gift giving. Instead of over-spending or over-giving, we tend to focus on one special gift for each person in our lives (ourselves included) and anything additional is almost always homemade. We call these true gifts (a name originated by my MIL). True gifts have ranged from edible treats to quilts to homemade butcher blocks in our family and every year we look forward to reinventing this true gift. So in honor of one family tradition we never plan on deviating from, I’m excited to introduce a new Love+Cupcakes series called Homemade for the Holidays – thoughtful gifts that are made with love. First up, Lavender Salt! 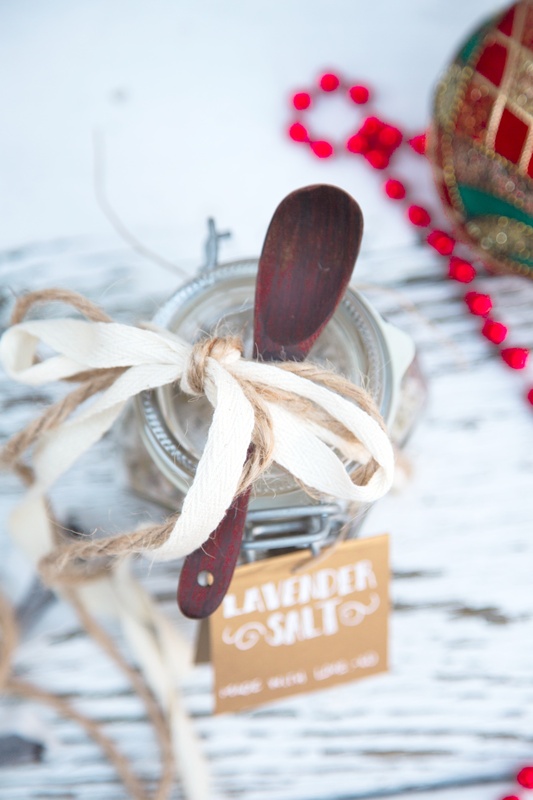 Lavender salt is incredibly versatile. It makes an amazingly delicious and fragrant rub for chicken, fish or lamb, adds a perfect pop of flavor on chocolatey baked goods, and it’s wonderful sprinkled over goat cheese and honey crostini. 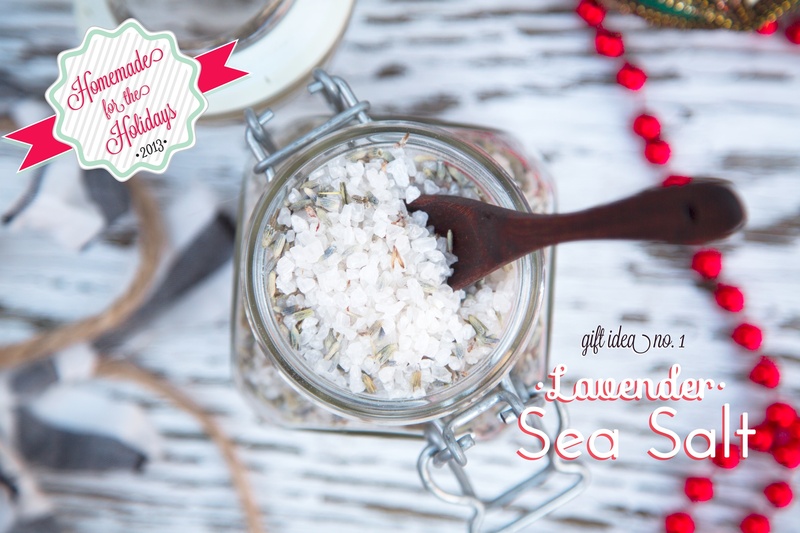 Simply combine 2 1/2 teaspoons chopped dried lavender with 1/2 cup course sea salt. Add a festive ribbon and a note, and voila – a true gift worth giving. 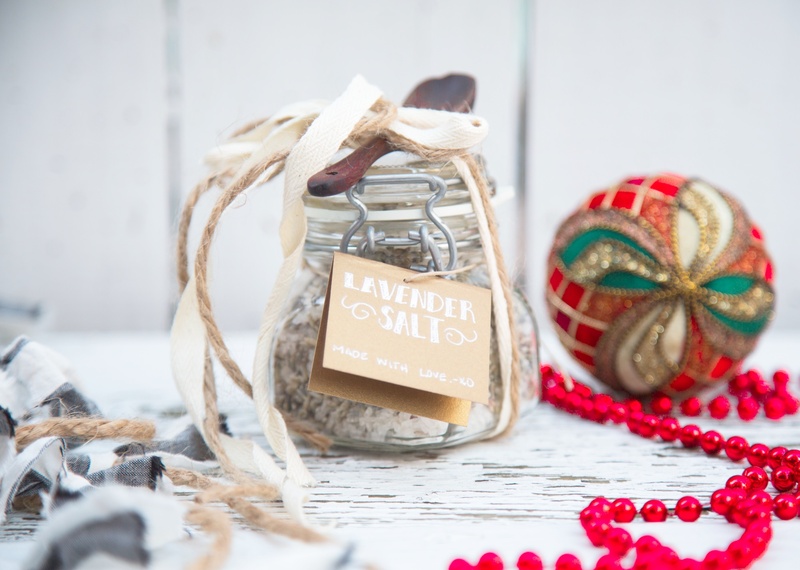 *Alternately, this lavender salt can be combined with 1/4 cup olive or coconut oil for a soothing pre-bath body scrub (use epsom salt if going this route). Combine ingredients in a medium bowl and pour into airtight container. Store in a cool, dry place. This rub should last several months if stored properly. Love this… I’ve been trying to think of what to make for the girls at work… It’s perfect!! <3 I can't wait to see what else you have up your sleeve!! What a great idea…and so easy! Hat dies auf KP28 * Soul Food rebloggt. So creative! I love lavender and imagine that sprinkling some of this onto some chicken or fish would be delicious! So pretty and such a great idea! 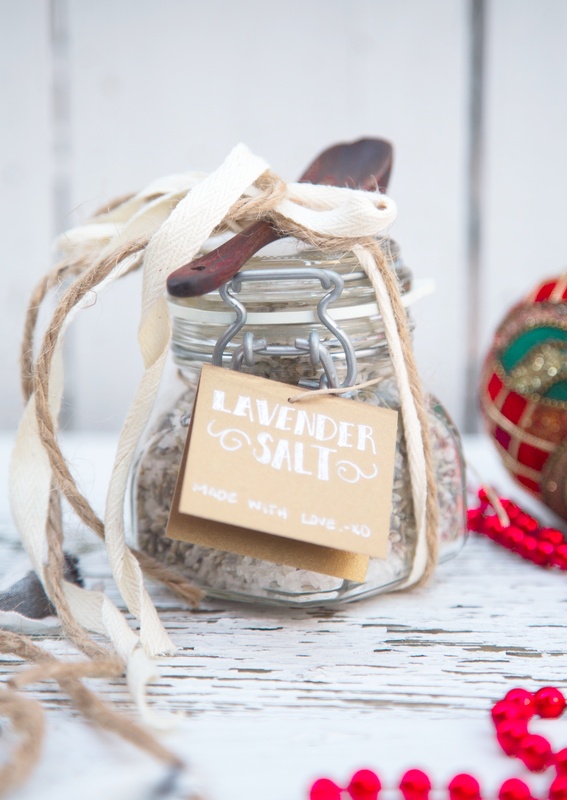 Beautiful DIY gift idea for Christmas! Wow! These photos are so pretty. I can tell that you put lots of time and effort into taking these photos and editing them. Love it.